Superheroes, Olympians and Daleks, oh, my! | Worldbuilding Rules! Superheroes, Olympians and Daleks, oh, my! This is the ultimate reference site for reliable information on Classical mythology. 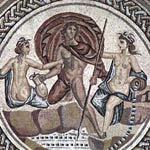 It provides encyclopedic detail on the names, name variations, and every scrap of information available for every character and creature in Graeco-Roman mythology. Then it goes a step further, citing the Classical texts in which each myth is referenced, and quoting many passages at length, so you can really understand what contemporary folks thought of their sacred stories. It also has hundreds of illustrations taken from Classical sources, including sculptures, murals, and ceramics, with full citations. A comprehensive how-to for superhero stories, in both graphic form and prose. Though it’s focused on how to create and write about superheroes, it has a lot of good how-to material for any kind of fiction, all set out with clear explanations and examples. That makes it an excellent learning resource for novice writers, while even experienced writers can probably find some ideas and technique refreshers. Thanks to Kevin Hosey for pointing me to this site while we worked on our superhero anthology, Gods of Justice. Japanese monsters and Japanese verse: what could be better. This illustrated site is, first of all, hilarious, second, it’s indispensable for any fan of Japanese monster movies. And finally, in the way haiku has of giving you a turn with the last line, it’s oddly moving at the same time it’s hilarious. 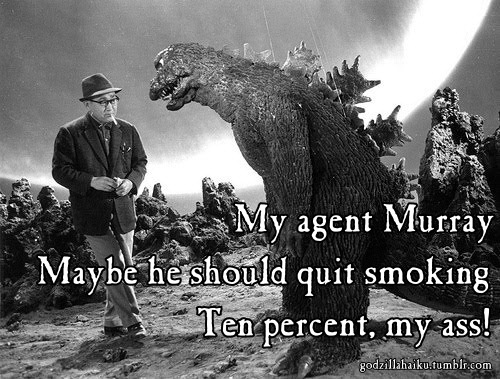 Browse through a dozen or so haikus, and you may feel inspired to haiku some kaiju yourself. I’ve loved Simon’s Cat since my first viewing of his first cartoon, “Cat Man Do.” I’m a cat person (also a dog person: all stereotypes to the contrary, they’re not mutually exclusive), and Simon’s Cat perfectly and hilariously captures all the reasons we both love our cats and are driven nuts by them. Now, I love this fabulous feline even more, because 3 years after “Cat Man Do” launched on YouTube, creator Simon Tofeld seems to have made it as a full time independent artist. He has his own YouTube channel, web site, books, tie-ins, and a regular daily strip in a major UK newspaper; and his cartoons go viral the moment they launch. That’s an achievement that all us freelance creators can love. Finally, in honor of The Eleventh Doctor’s return to America this week, I’ve just added a page dedicated to my favorite Who villain, the Daleks. More specifically, to fan-made homages to the Daleks, with a few fannish Tardises and other Whovian critters sprinkled in. Got a picture of a really excellent or funny fan Dalek? Send me a link on the comments, and I’ll post it if I deem it worthy. 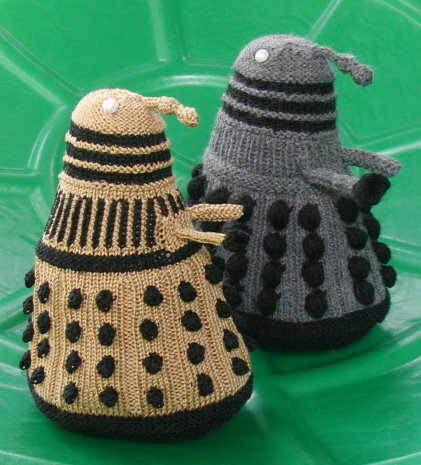 Daleks have big bumps, little stubby arms, and squeaky voices. What’s not to love?